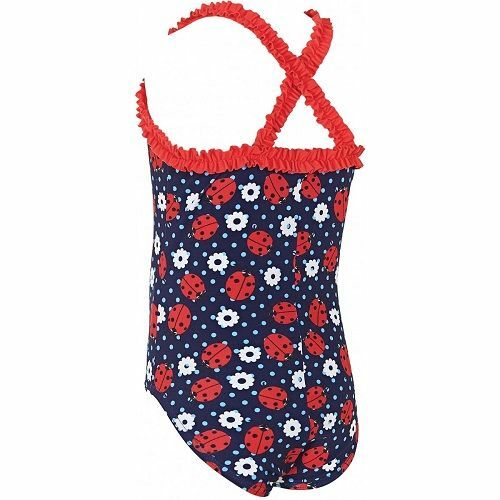 Embrace the funexpected with our Ladybug Ruffle X Back for girls aged 1-6 years old. This swimsuit features crossover straps which are perfect for ensuring they stay on and maintain a good fit. 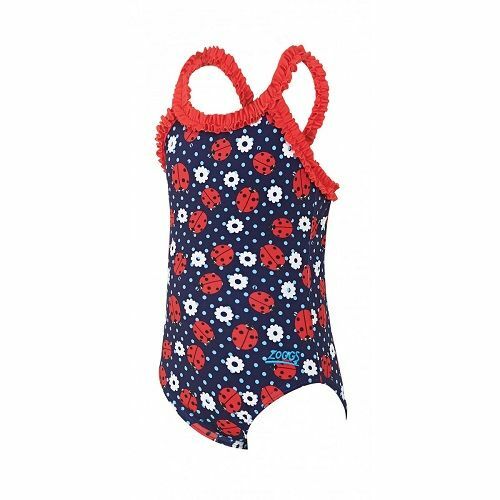 Featuring frill detail on the neckline and straps, along with ladybird and flower print, this is an adorable addition to any little girls swim wardrobe. Made from our super soft, quick drying and chlorine resistant Elastomax™ fabric, lasting up to 120 hours of pool swimming.